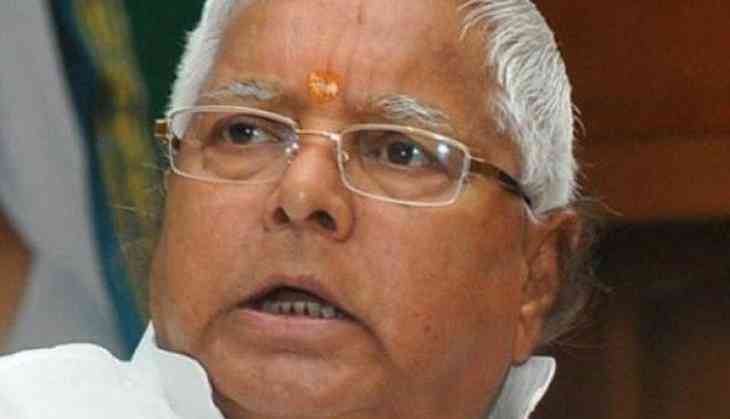 RJD national president Lalu Prasad Wednesday charged the Narendra Modi government with adopting "casteist policies" to keep SC, ST and OBC people from higher education. His outburst came a day ahead of his party's proposed march in the national capital in protest against the UGC's 13-point roster reservation system, which parties like the RJD allege would deprive the already "under-represented" social segments of affirmative action in centres of higher learning. The RJD has also been accusing the Modi government of dithering on the issue with its refusal to bring in an ordinance that could overturn the recent Supreme Court judgement on the UGC's decision. "Do not eliminate SC/ST, OBC from higher education due to your casteist policies. Save education. Save Constitution. Save reservation," Prasad tweeted using the hashtags #BringBack200PointRoster and #Against13PointRoster. In another tweet, in Hindi, he shared newspaper reports on the problems that the new 13-point roster posed to the reserved category aspirants and remarked "You seem to be asleep while the casteist and Manuvadi government is snatching away the constitutionally granted rights of the Bahujans. They will destroy you if you keep sleeping." In an earlier tweet, he shared an "open letter" to Modi written by his younger son and political successor Tejashwi Yadav wherein the prime minister was informed about the proposed march and an appeal made to "all justice-seeking people" to join the RJD's endeavour. "Bahujans, if you remain asleep and afraid before this dictatorial regime, these cunning creatures will conspire and rob you off whatever little constitutional rights you are left with. Arise, awake and fight," Prasad said in the tweet. He endeared himself to the OBCs with his thrust on "social justice". In the assembly polls of 2015, a remark by RSS chief Mohan Bhagwat that he was in favour of a "review" of the reservation system had caused a backlash that, many political observers believe, was responsible for the BJP-led NDA's defeat.